Here’s the first poster of Rakeysh Omprakash Mehra’s new film! 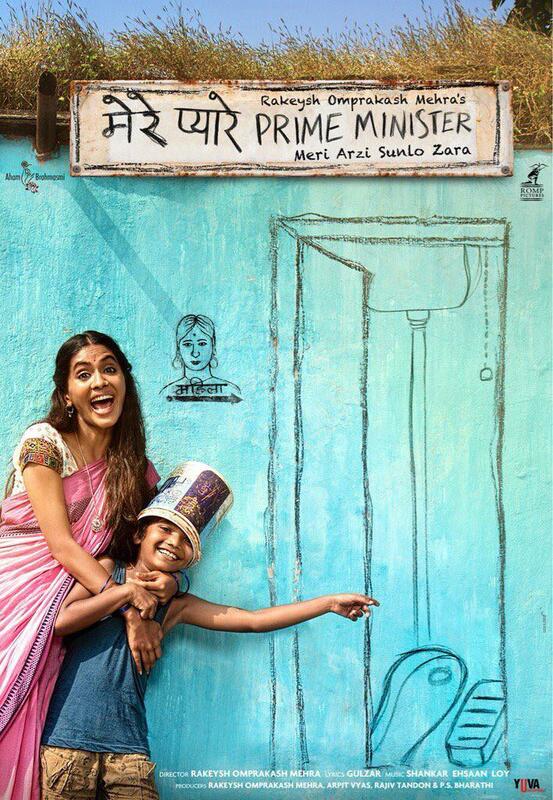 Based on sanitation issues in Mumbai slums ‘Mere Pyarey Prime Minister’, is Rakeysh Mehra’s next directorial after Mirzya. Though we have seen the same topic in Akshay Kumar’s ‘Toilet: Ek Prem Katha’, it will be interesting to watch what differences or what new angles Mehra brings in his film. Huma Qureshi approached for Sajid Nadiadwala’s Housefull 4? Actress Kriti Sanon is on her career’s high; might bag Housefull 4 after Panipat!